I signed off last month saying the weather for spring would probably be worse and here we are. It’s still warming dram weather even on balmier days like today as there are still cold nights. For a few days this month, I was helping a Swiss film maker to interview a few senior women in the blending and science areas of Scotch Whisky for a documentary he intends to make next year, once all his funding is in place. This visit was to film a second trailer for the Swiss TV channels so it was just him and his assistant. I and several others in different areas of Scotch Whisky activity were interviewed last year for the first trailer. 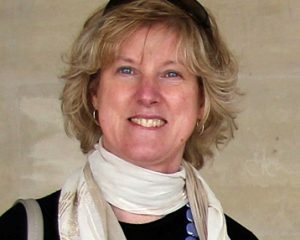 This time I was able to set up interviews with Jo Graham and Sue Beatt, the women who own and run The Whisky Ambassador and this very website. It was an interesting few days seeing people I already know and meeting some new ones. It does also mean that I was finally able to fulfil a long-standing invitation to see Diageo’s archives – except that they’re doing works there at the moment so I’m going back in April for a proper look. There’s a new Tobermory 12 Year Old expression to be launched at the beginning of April so I’ll tell you what it tastes like next month, once I’ve tried it. Their release says it’s been launched in London and Glasgow but the Glasgow event I’ve been invited to is 3rd April so maybe it’s just London that’s already happened. It’s not a whisky I get to taste very often so I’m looking forward to it and to hearing from blender, Kirstie McCallum. Matured on the Isle of Mull in American oak casks for 12 years, the liquid has a cask strength of 46.3%, is not chill-filtered and the barley was unpeated. More later in April. 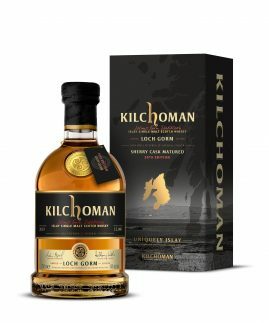 The only tasting note I have for you this month is Kilchoman Loch Gorm 2019 (46% alc. vol.). It’s not been chill-filtered, has no artificial colour and there’s no age statement either. The sample label says 50ppm of phenols which is plenty of peat and smoke. We’re told, “Twenty oloroso sherry butts from 2006, 2007, 2008, 2009 and 2011 have been selected for this release, meaning that for the first time Loch Gorm will contain 12 and 13-year-old casks from the Kilchoman warehouses.” That bit more maturity certainly shows. This was due to have been released a few days ago but it’s been delayed till 8th April so below is a preview tasting note I’ve done from the sample they sent over. I hope it encourages you to buy for yourself or your bar/restaurant/ shop. It’s one of the nicest Kilchomans I’ve tried. The label says 15,000 bottles so it depends on your view of limited in terms of limited editions but it’s definitely worth trying. Appearance: Rich old gold with deep brass and light amber highlights. Tears are swift at first then slow and sticky, at first close and then much wider apart. When you add water later and swirl in the glass it looks much oilier. Nose: Plenty of peat, smoke, iodine and sea salt air. A touch of sweaty wool sock. At the back is some richly toasted barley and a bit of oak. A little bit of dried fruit also and some soft candy sweetness which is quite a beguiling little note. There’s creamy coconut too and I thought I even detected a bit of beetroot juice but it was fleeting. With water there’s a touch of wax or varnish; deeper sweet barley and toasted coconut; some sweeter spices. Also a slight sulphur note develops (sherry casks) then back to coconut and smokiness. Left some minutes longer, more sweetness meanders in. Palate: Not as mouth coating as expected but still a slight oiliness. Richly toasted and peaty; smoky but with some cereal and coconut sweetness too as well as bit of spice. Liquorice laces and a bit of salt. Finish: Smoky, astringent, heathery, lots of roasted barley and dry but with a dab of sweetness and liquorice. I still had a sample of Loch Gorm 2018 so was able to compare the two. Last year’s release had some similarities but with more sea air lingering on the nose than the 2019 plus a little bit of coffee grounds and griddled fruit later on. Maybe even a little attar of roses but definitely not the same sweetness as this year. A bit more waxy too with a bit of cooked orange zest. For me the palate on the 2018 was not as interesting. It felt harsher and with less depth and complexity than the new one. I know people who will prefer it but, for me, the Loch Gorm 2019 is a tastier dram. 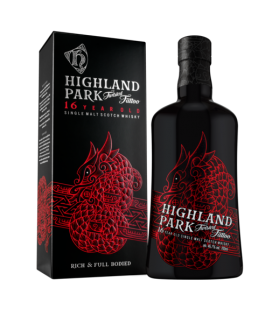 Highland Park has a new expression – Twisted Tattoo (46.7% alc. vol.). No sample as yet but I’m hoping for one. This was another released just several days ago. It’s 16 years old and its name and character are inspired by the Viking legend of the Midgard Serpent which grew so large it twisted around the earth to bite its own tail. The expression is the first time the distillery has created a single malt combining whisky matured in rioja seasoned wine casks with first fill bourbon casks. Price will be around £80 and it replaces the Full Volume expression from 2017. 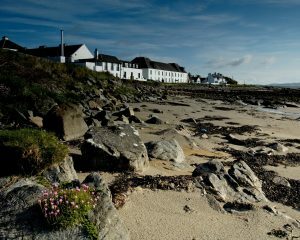 A release just in tells me that Bruichladdich is to invest in its own maltings to produce a proportion of its own malted barley. This is subject to planning permission but, all being well, the facility should be up and running in 2023. They currently send the Islay barley they use (42% of total requirement) to Baird’s in Inverness for malting. This is intended to reinforce the Bruichladdich team’s view that all processes should be on Islay to be a truly Islay whisky. It will also aid them in the barley experiments I wrote about a little while back where they are trialling different varieties and locations on the island. To this end, they bought 30 acres at Shore House Croft and the small trials will be able to be malted and distilled in separate parcels to assess flavour and character. Terroir again! Bruichladdich’s former owner is also running grain and terroir trials at his Waterford Distillery over in Ireland. Not something to be dismissed in the whisky world, by any means. They’re also paying attention to the amount and type of energy they use at Bruichladdich and running feasibility studies on “tidal, water turbine and biomass technologies or a combination of all three. These sustainable practices would complement the distillery’s existing attempts to be more environmentally friendly which currently include reusing the hot waste water from distillation to run central heating and using fully electric vehicles.” I think these are all great ideas. It’s very like Bruichladdich to be in the vanguard of such experiments and more power to their environmental elbow. In another environmental initiative, Glenmorangie is partnering with Heriot-Watt University’s Centre of Marine Biodiversity and Biotechnology, and the Marine Conservation Society in DEEP (Dornoch Environmental Enhancement Project) which, I may have mentioned before, is restoring native European oysters to the protected area of the Dornoch Firth after more than a century and will recreate entire reefs – something which has never been attempted in Europe. They have created a model with global potential which will help inspire other marine species to be reintroduced in areas where they have become extinct. I know a young Scot who is farming oysters out at Dibbah, near Dubai so he might find this an interesting project too. 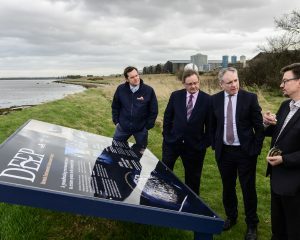 The site up near Dornoch was visited recently by Scotland’s Minister for Further Education, Higher Education and Science, Richard Lochhead (seen in the pic here). Oysters are known to help in water purification and “will complete the purification of waste water from the nearby distillery as it is returned to the local eco-system in an environmental first.” There are rules over where a distillery’s waste from processes can be deposited. I remember clusters of happy fish in the waters outside Laphroaig as we were allowed to put some waste into the sea outside. Wonder if it affected how they tasted?! Terroir anyone? Or eau? The nice folks at Whyte & Mackay have also brought out a couple of new expressions under the banner of The Whisky Works – a new range pioneered by whisky maker, Gregg Glass. They’re launched at Whisky Live London this weekend. King of Trees, the first modern whisky experiment to emerge from The Whisky Works, is a 10 Year Old Highland Blended Malt, part-finished in native Scottish Oak. Wind-felled on an ancient estate in the Scottish Highlands, timber from two centuries-old Scottish oak trees formed a single cask. 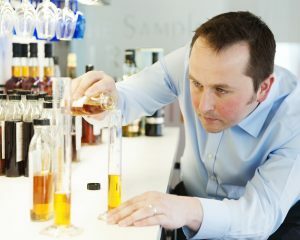 This enables Gregg Glass to produce a whisky born from a rare, experimental whisky maturation process. This cask gave King of Trees fresh and crisp notes of apple and pear, vanilla and aromatic cinnamon. There are only 2,157 individually numbered bottles (46.4% abv), which are natural colour and not chill -filtered. Gregg’s appetite for experimentation is further paired with an appreciation for time served distilling methods. This is the key to the new range, as he searches Scotland’s forgotten distilleries to find rare and exciting whiskies. 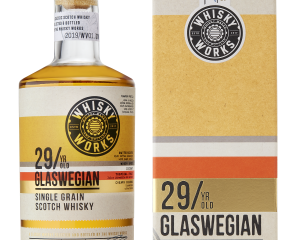 The first classic whisky from The Whisky Works is, 29 year-old Glaswegian from a now-silent grain distillery which once stood at the heart of Scotland’s waterways. The single grain whisky has been matured in American White Oak casks held mostly in traditional dunnage warehousing, Thus providing perfect conditions for maintaining a cool temperature and slower maturation. There are only 1,642 individually numbered bottles (54.2% abv) and, with natural colour, strength and no chill-filtration, this whisky is intended to be an imaginative journey for whisky fans. 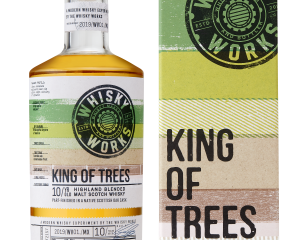 King of Trees is priced at £75/70cl) and 29 year-old Glaswegian is priced at £130/ 70cl. 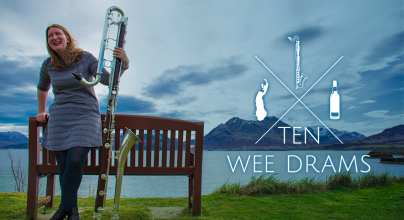 If you feel like a jaunt over to a western isle to listen to music in April, on April 11th, Raasay Distillery will be hosting a live performance of ‘Ten Wee Drams’, a new set of works for solo bass and contrabass clarinet commissioned and performed by celebrated musician Sarah Watts. Each Wee Dram takes inspiration from past and current culture, heritage, folklore and landscape of Raasay. Nine of the Wee Drams are by Scottish based composers. The tenth is by emerging composer Adam Lee – winner of the Ten Wee Drams student competition. The concert will take place in the distillery Gathering Room from 2.30pm (doors open at 2pm) with stunning views over to Skye. The afternoon will feature Sarah performing the Ten Wee Drams in a set lasting approximately 45 minutes. This event is free to attend and there will be a licensed bar, tea, coffee, and cakes. Lastly and definitely not least, a few weeks ago I received the menu for my Feis Ile Whisky Dinner at the Port Charlotte Hotel this year (Year 17!). All I’m saying for now is that it’s a crrrracker! New chef (since last year), Stephen, has come up with some great ideas and a very slightly different format. Once I’ve asked him a load of questions, it will certainly take me a little while to play with his flavours and come up with the whisky pairings I will show at the event. Enjoy any Easter break you get in a few weeks and I’ll be back near the end of the month. Try some different whiskies with Easter eggs, if you have them where you’re based and see what works for you. Or, just as good, try different types of chocolate. I’d be interested to hear anyone’s ideas.